As summer approaches, a new surge of students will begin looking for jobs. Whether you’re graduating and finding a full-time career, starting an internship, or just looking for a part-time summer job, it’s important to maximize your interview experience. To help you ace your interview, we’ve put together a list of a few do’s and don’ts for help before and after the interview. The way you dress and present yourself has a huge impact on the employer’s first impression during your interview. However, as many companies become more casual in daily office wear, knowing exactly how to dress appropriately can be more difficult. More companies no longer require business formal suits and dresses at work, opting for more casual dress codes instead. Try to match the culture of the office. Showing up in a formal suit and tie, while everyone at the office wears jeans and flip-flops may indicate to the employer that you are not a good fit for the company. Conversely, coming underdressed can cause you to be perceived as lazy or unprofessional. Inquire ahead of time in order to dress appropriately, but when in doubt, it’s better to be overdressed than underdressed. Of course it’s important to bring everything you need: your resume, references, notebook, pen, etc., but it’s also essential to come mentally prepared. Research the company and position prior to the interview. Learn about what the company does and other info relevant to the position you’re applying for, such as earnings reports for a finance position. Knowing all this will better prepare you to answer questions the interviewer may ask, as well as provide you with useful questions to ask your interviewer. Coming into the interview completely clueless about the company can make you look unprepared and uninterested in the job. “What are your greatest weaknesses?” “Where do you see yourself in five years?” I’m sure we’ve all been asked these questions, or have at least heard them before. Practicing your answers to typical interview questions can better prepare you. If you’ve done your research, you can try to anticipate the questions you may be asked relevant to your position. Brush up on your related skills, strengths and weaknesses, your experience, and other related details about yourself so you can easily recall the facts during the interview. Have a friend go through questions with you, look back at previous work you’ve done, anything to help you get practice before the actual interview. However, take care not to sound too rehearsed! I’m sure this is obvious, but it cannot be stressed enough! Do not be late! 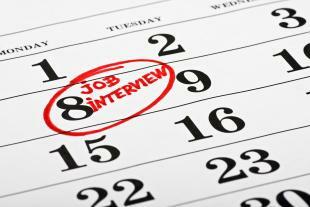 Show up 10 to 15 minutes prior to your interview time. This will allow you to get organized and fill out any necessary paperwork. Running in at the last minute will leave you frazzled and will only make your interviewer assume you have poor time management skills. After the interview is over, it’s always polite to thank your interviewer. While it was once expected to be handwritten mailed letters, changing business environments can make a thoughtful email just as acceptable. In addition to thanking those involved in the interview process, it’s also a chance to mention any important facts you may have forgotten in the interview. Remember to always remain polite and professional, even in an email. These tips can help you ace the interview, both before and after. There are countless other tips and general rules to follow during the interview process, especially during the actual interview itself. For more information on this, OpenSesame offers numerous courses on the subject. You can simply browse our Interview Skills category for a specific course to fit your needs. Whether entering the workforce for the first time or already a seasoned employee, the impression you make during an interview is crucial to landing the job. With changing workplace environments and practices, everyone should stay up-to-date with interview expectations and skills.